Kathmandu says:"Altica Thermaplus is the ultimate thermal fabric providing superior insulation, moisture management, breathability and sun protection in a comfortable, quick-dry knit fabric." The Kathmandu Altica thermaplus is a close fitting, very comfortable, short sleeve shirt which I've used as an additional thermal layer on several days' winter walking in termperatures around 0 deg C.
The thermal properties were very good - it certainly did make a difference in some particularly cold winds. I was also quite comfortable during more strenuous periods of walking - the breathability and wicking were also good. Not only is the fabric lovely and soft to the touch, it also appears to have some odour management features too - I was quite happy to wear the Altica for a couple of days continuous wear. It washes well and dries very quickly. Sizing is emerging as a theme in my experiences with Kathmandu. As with some of the other garments I've tried, the sizing is on the generous side - so in the Altica, I was wearing size 10 although I am usually an average size 12. 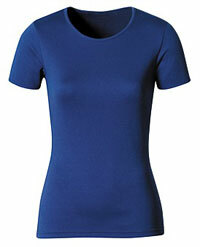 The Kathmandu Altica Thermaplus t-shirt is a very flexible, functional thermal/base layer. Excellent as part of a layering system for winter walking, it's also a great addition to the wardrobe for more general use in this exceptionally cold 2009/2010 Uk winter.